Liverpool John Moores University does not provide accommodation for conference delegates. However this provides greater flexibility for IWMW 22016 delegates who are able to choose accommodation to suit personal preferences. Also note that there is a wide range of accommodation available in Liverpool city centre to suit a range of tastes. Airbnb: see details of accommodation for 21-23 June (currently from £65 for 2 nights for an entire apartment or from £25 for a private room in a shared accommodation for 2 nights). If you wish to book accommodation with friends a number of apartments with multiple rooms are available. Also note that details of recommended hotels will be provided shortly. Adelphi Hotel, Ranelagh Place, Liverpool, L3 5UL: currently has rooms available from £127 for 2 nights. 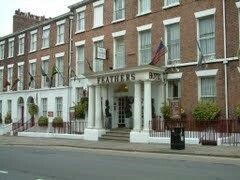 BW Hallmark Hotel Liverpool Feathers, 119 – 125 Mount Pleasant, Liverpool, L3 5TF (very near venue): currently has rooms available from £131 for 2 nights. Liverpool Inn Hotel, City Centre, 4-8 Mount Pleasant, Liverpool, L3 5RY: currently has rooms available from £120 for 2 nights. 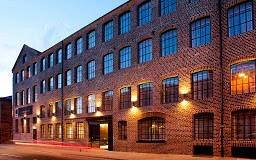 The Shankly Hotel, Millenium House, 60 Victoria Street, Liverpool, Liverpool, L1 6JD, United Kingdom (for football fans! ): currently has rooms available from £160 for 2 nights. ibis Liverpool Centre Albert Dock, 27 Wapping, Liverpool, L1 8LY: currently has rooms from £140 for 2 nights. Travelodge Liverpool Central, The Strand, Liverpool, L2 0PP currently has rooms from £72 for 2 nights.